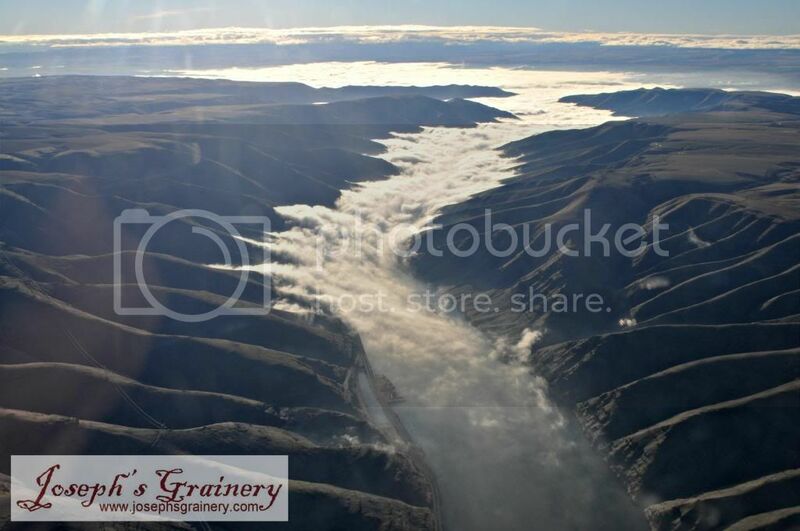 Here a temperature inversion displays itself as it drains the Lewiston Valley of cold air and flows down the Snake River Canyon. Definitely something you don't see every day. 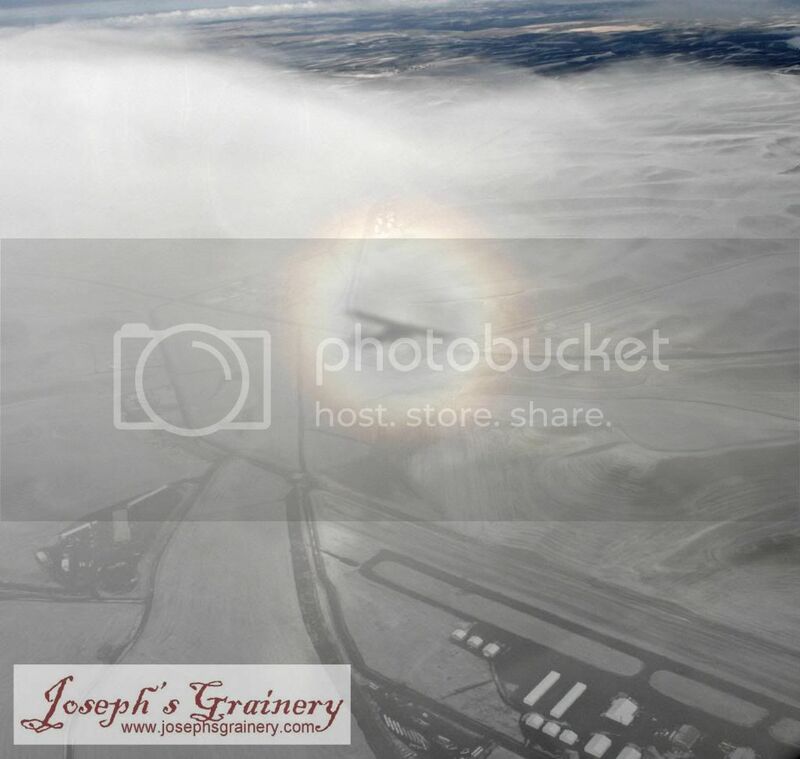 The little rainbow around the plane's/my Grandpa's shadow is called "the Glory". If you want to see the Glory, you have to be at the right place at the right time...and my Grandpa was in the right place at the right time for this photo!